I just found out about this little holiday gem a few days ago. 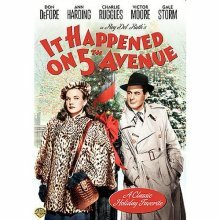 Greg and I watched it the other night and agree that it will now be a part of our Christmas DVD collection to watch every year. Made in 1947 – this film has heart, rich characters and makes you laugh and think at the same time. Built around a homeless man – who crashes an abandoned 5th Avenue mansion – and then ends up being the most gracious and hospitable to others in need. With many twists and surprises – this film will charm you and make you feel good. 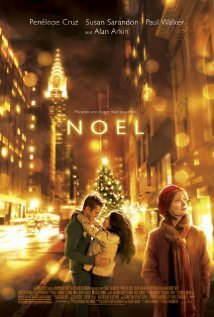 I have had this Christmas movie in my collection for a few years now – and have loved it since the first time I watched it. It is a story of miracles, angels and hope in desperate circumstances. Starring Susan Sarandon and the very lovely Penelope Cruz – with a few lovely twists and surprises – such as a guest appearance from Robin Williams – I’m sure you will agree – they don’t get much better than this one. Below is a sneak preview – hope you enjoy it! I’ve always loved Gordon Lightfoot. He is on a list of many artists who graced my radio airwaves and cassette tapes growing up. There are a few songs of his that stand out in my memory and it has not been many years that I was reintroduced to this great Christmas song. Last year I made this for Greg in celebration of our 29 years together. I hope you will enjoy it too.